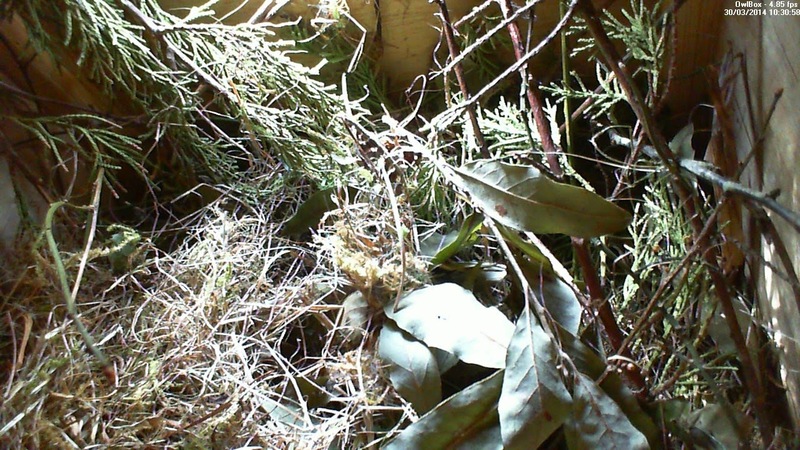 So, as I mentioned in a previous post, my Tawny Owl nesting box has/had some squirrels in it who have done a loft conversion so we now have a squirrel drey - complete with branches sticking out of the entrance hole. The camera in there was really limited in terms of the picture quality, as the a 2.4GHz radio transmission transmitter had very poor performance (read as mostly non-functional). 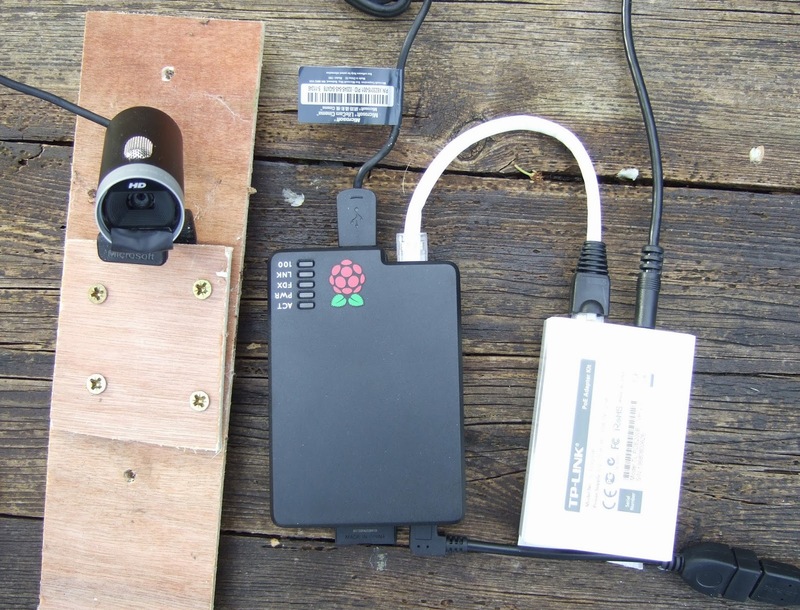 Today I took advantage of the lack of wind, and did a quick and dirty mod, and replaced the existing camera with a webcam-raspberry pi combo. 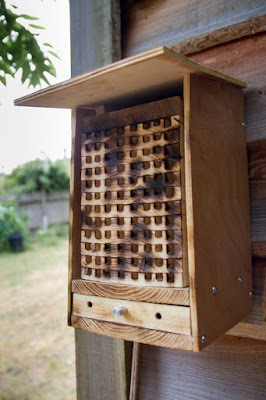 I've been working for a while on a pi-cam nesting box for smaller birds (full post later), and Iused the same methodology to rig up a webcam in the Owl box. For power, I've used power-over-ethernet (PoE), so I've only one cable running to it. 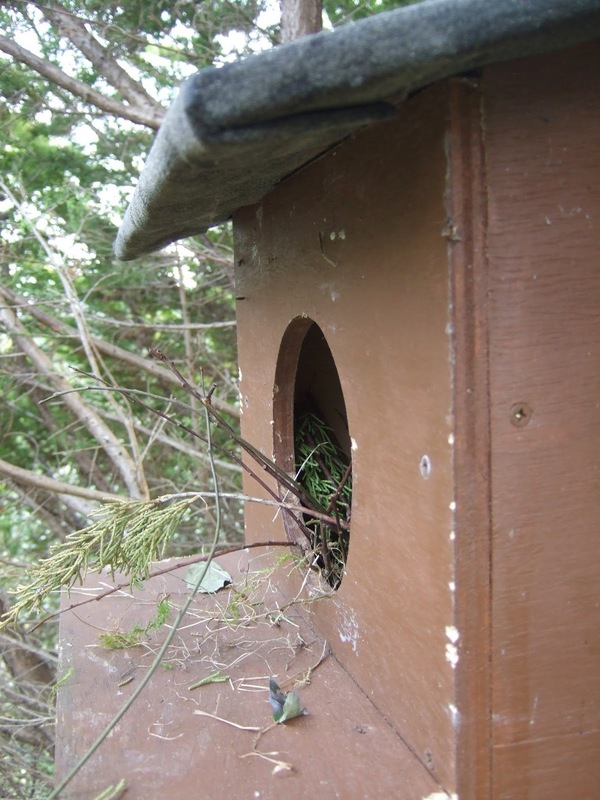 The box is approx 150ft from the house. 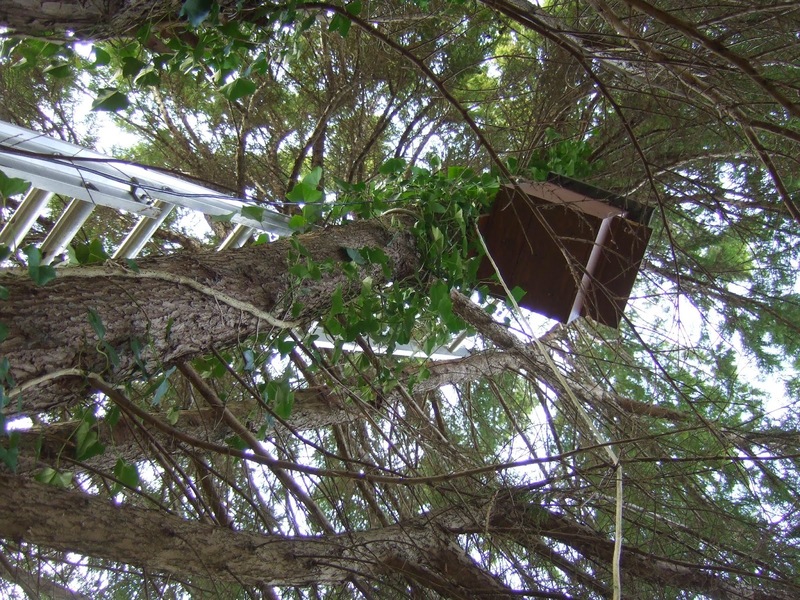 Last year, I ran exterior ethernet cable underground most of the way, to a shed which is approx 30ft from the tree. 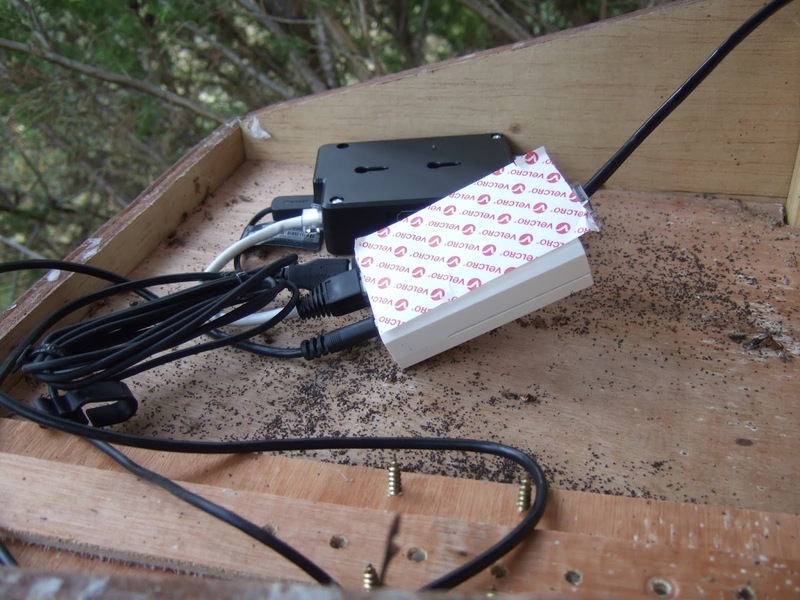 From the shed I've run a ethernet cable which takes a power injection using a TPlinkPoE kit, which steps down from 48 to 5v in the nest box. 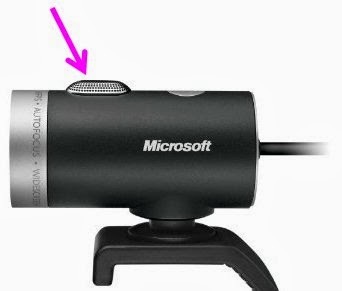 Webcam is a microsoft lifecam cinema. I created all the network cables from a box stock of exterior cat5e network cable. There's no artificial lighting in the box as I had to make these changes 20ft up a tree so had no room for finesse, and plenty of room for falling out of the tree. The old camera had several IR leds (too many), so unfortunately night vision is out for now. In a later post I'll detail how motion jpeg stream is setup from the Pi, but its cool to SSH into a linux box 250ft from my desk and 20ft up a tree. The improvement in quality is immediately obvious. I'll need to do some repositioning later in the week. At 800x600 resolution I get approx 20 fps, and at 1280x720 I get 7-10 fps which isnt bad for full HD. The video signal is a motion jpeg stream, which is fed to a pc running iCatcher console software. This sees it as an IP camera and does the motion capture side of things. Audio: I haven't investigated this yet, but this webcam has an inbuilt microphone from which I think it should be possible to grab an audio feed.